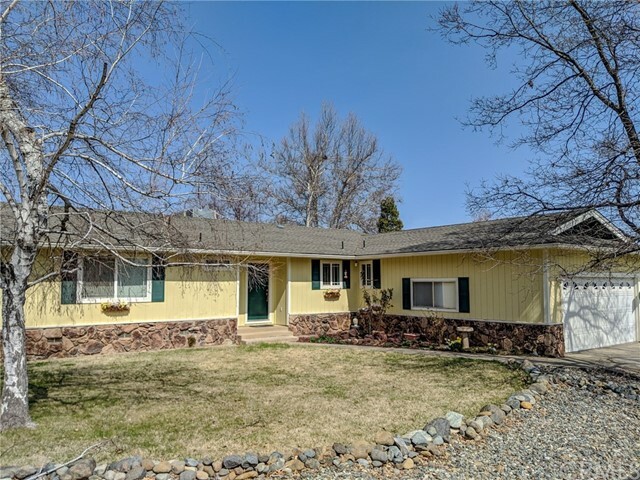 All Yreka homes currently listed for sale in Yreka as of 04/24/2019 are shown below. You can change the search criteria at any time by pressing the 'Change Search' button below. 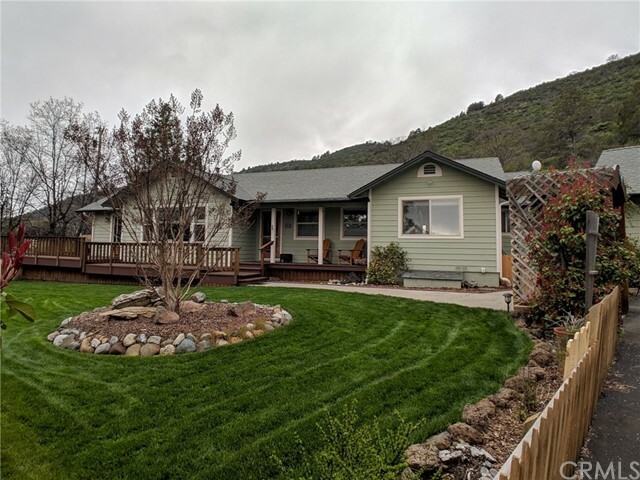 If you have any questions or you would like more information about any Yreka homes for sale or other Yreka real estate, please contact us and one of our knowledgeable Yreka REALTORS® would be pleased to assist you. "BRING YOUR HORSES! Perfect mini farm set up. Updated with all the upgrades & western style you could want. 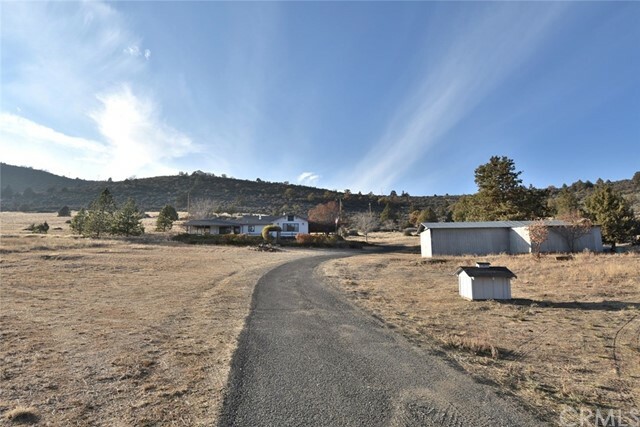 2060sf one story home on 5.6 fenced & cross fenced view acres! 3 BR-2 BA, large living room, family room, sun room, updated kitchen: custom cabinets, granite & stainless steel appliances & 2 pantries! Off the kitchen experience the Solar gain through a fabulous windowed floating bar area set up with mini fridge & glass doors open to private patios! 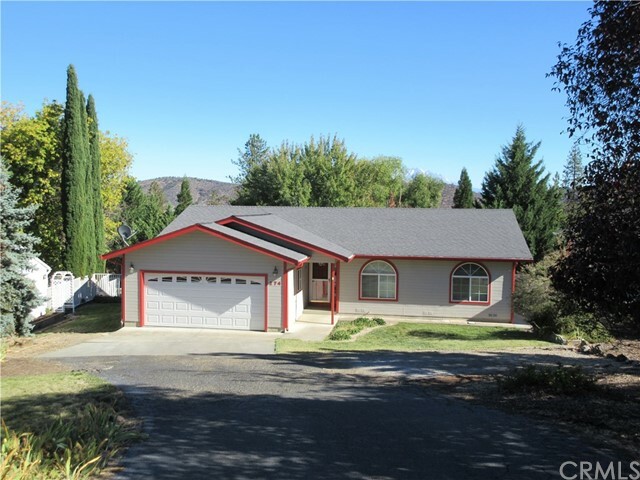 HP Electric heat/air, monitor & WS insert "
"Don't miss this lovely home on 17+ acres just minutes from Yreka! Located on Cram Gulch Road, this home sits atop a meandering paved driveway that runs through beautiful trees. The home has 2,149 square feet and has plenty of outdoor living space as well! Relax on the front deck and enjoy the views and water feature. The living room opens out to a patio and BBQ area. The backyard boasts a hot tub and a large pond, which is home to several colorful koi fish! 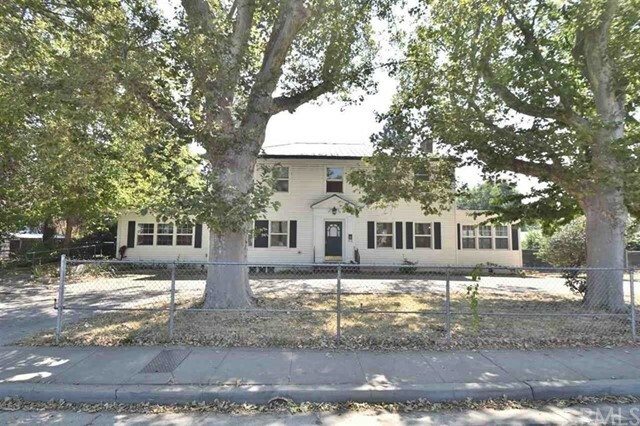 Desirable open living area includes a "
"LARGE - COLONIAL STYLE home on Main Street in Yreka, CA!! Beautiful 4bdr/2bath home w/approx. 2,800 sq.ft. on .39 of an acre. Currently being used as a home, this property has possibilities of other uses as well, due to it's CPO zoning. With many period features in the home & large rooms, arched doorways & basement w/approx. 650 additional sq.ft., this is a must see to appreciate. 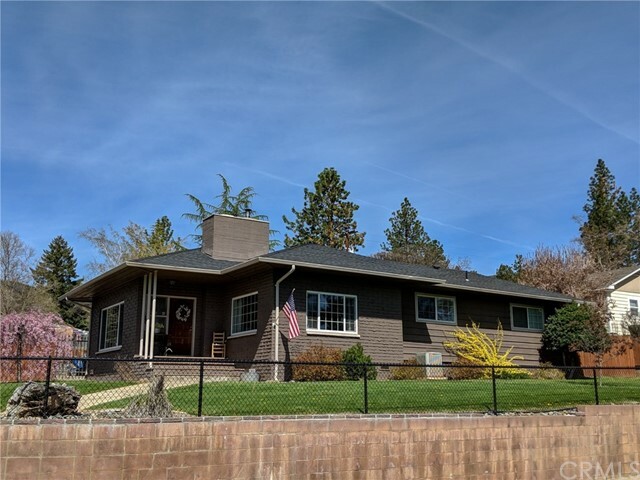 Two of the bedrooms feature Murphy beds (they fold up into a cabinet for extra space) & 2 of the bedrooms have walk-"
"Beautifully appointed home in desirable Yreka neighborhood. This home is situated above the street, allowing for privacy and beautiful views of the surrounding hills. The kitchen has been updated with concrete counter tops, beveled subway tile back splash, custom cabinets, stainless steel appliances and gorgeous lighting. Tile flooring and Pergo flooring throughout living areas and master bedroom. Efficient wood fireplace insert in sunken living room, which boasts vaulted ceilings and wood beams"
"COME HOME TO THE COUNTRY!! 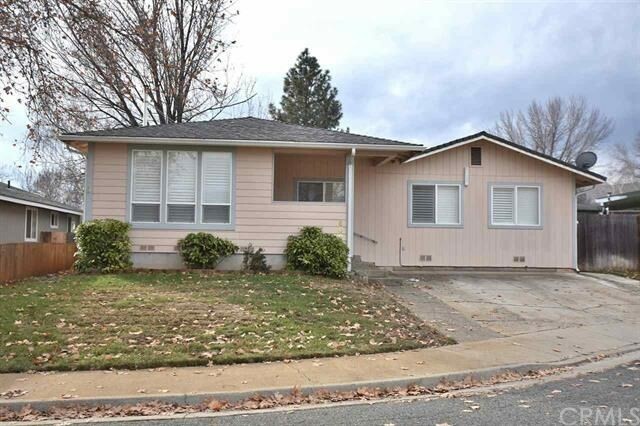 This 3bdr+Den/2bath home has approx. 1,623 sq.ft. & is ready for your personal touches. Several windows have been upgraded w/vinyl clad dual pane windows, it has a nice wood stove & monitor heating. 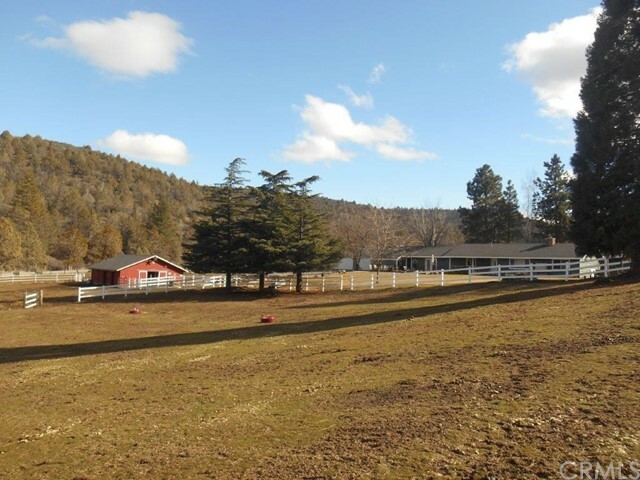 Located on 16 acres, there are ample opportunities to have a few animals and/or just enjoy the surroundings! NEED A WORKSPACE? There are two separate buildings as well. The Shop is approximately 12' x 45' & another bldg. is 14' x 18'5. Perfect for a craft room, workshop, et"
"WELCOME HOME to this large 4bdr/3bath home w/approx. 2,134 sq.ft., laminate, tile & carpet flooring, TWO master suites, Custom cabinets in kitchen, plantation shutters, Hot tub, open floor plan & so much more!! Skylight in kitchen & directional & recessed lighting makes this a bright & cheery home. Dual pane vinyl windows, Mitsubishi Ductless systems in home, a Franco Belge stove & evaporative cooler makes this well heated & cooled! Completely fenced backyard w/lush lawn, small pond, storage she"
"CUSTOM HOME on the corner of Turre and Meadowlark! This 3 bedroom, 2 bathroom home has a beautifully renovated kitchen with granite counter tops and updated appliances. The dining room opens out to a spacious deck with a retractable awning and a view of Mt. Shasta and the surrounding hills. 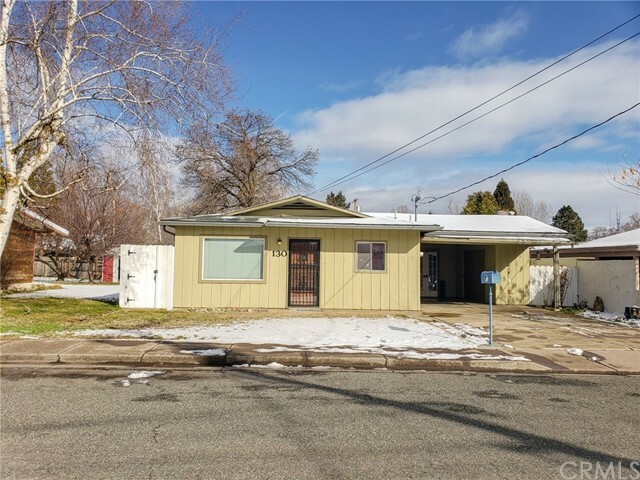 The home has 1,417 square feet and has lots of extras including a monitor heater, central heating and air, a skylight, marble walk-in shower in the master bathroom and adorable landscaping in the front yard w"
"This 2 bedroom, 1 bath home is move in ready! There is laminate flooring in the kitchen, which boasts a ton of counter space and cabinets. The house has an open floor plan and the living room has a built-in-hutch. The fenced back yard has a rose garden, a large workshop, storage shed and covered patio. This house is neat as a pin and won't last long!"